At the launching of Eala Bhan earlier this year. 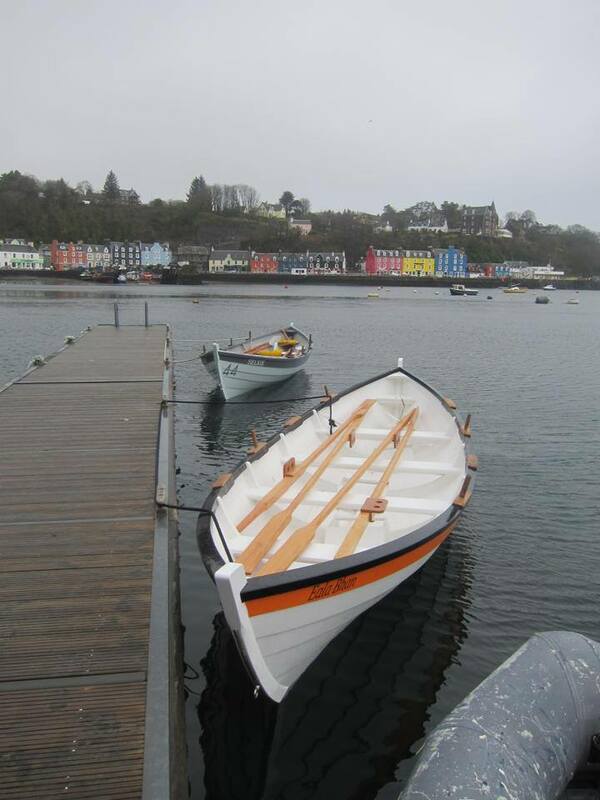 The first Isle of Mull Skiff Regatta will take place in September and looks like providing a fantastic weekend of racing and just enjoying the magic of Tobermory. Selkie is duly entered and booked on the Oban to Craignure ferry departing at 11.55 on Friday 5th September, so she’ll be there anyway with a nucleus of rowers. There’s plenty of scope for more of us to take part and it will be great if we can field more than just one crew. Our friends on Mull visited our regatta in force and showed us a thing or two, so it will be great to return the favour. To date Selkie and her people have competed at several events, in Ullapool (twice), Otter Ferry, Loch Vennacher and Loch Insch. Those of us who’ve been have always had a really good time and enjoyed real hospitality and kindness. If you haven’t tried you really don’t know what you’ve been missing. Please use the booking section of this site to register your interest and allow us to give the Mulleachs some real competition! This entry was posted in Events, News, Uncategorized and tagged Isle of Mull Regatta. Bookmark the permalink.